A perpetual calendar is great for a variety of uses, including goal setting and appointment reminders. 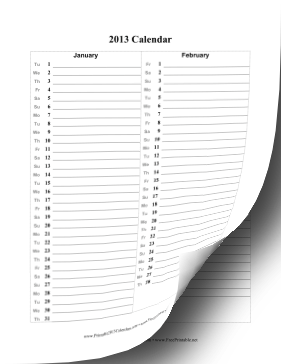 This 2013 list calendar includes two months per page and can be cut apart easily on dotted lines. It is available in PDF or customizable DOC format. Free to download and print.